Lately I have been drawn to loose fitting pieces and layers so much. I don’t know if it’s the weather, the time of year or what, but I can’t get enough! 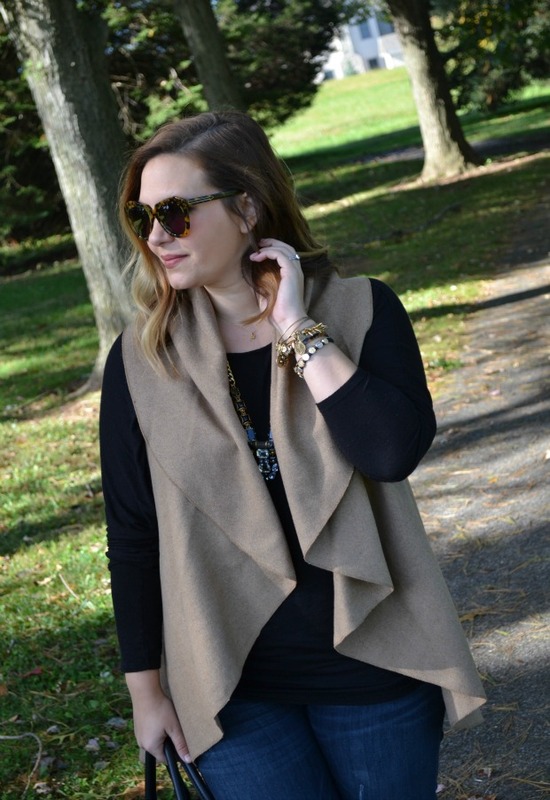 This draped vest/coat was just what I was looking for to add to my closet. The flowy, loose cut is perfect for a casual day to dressy night outfit. 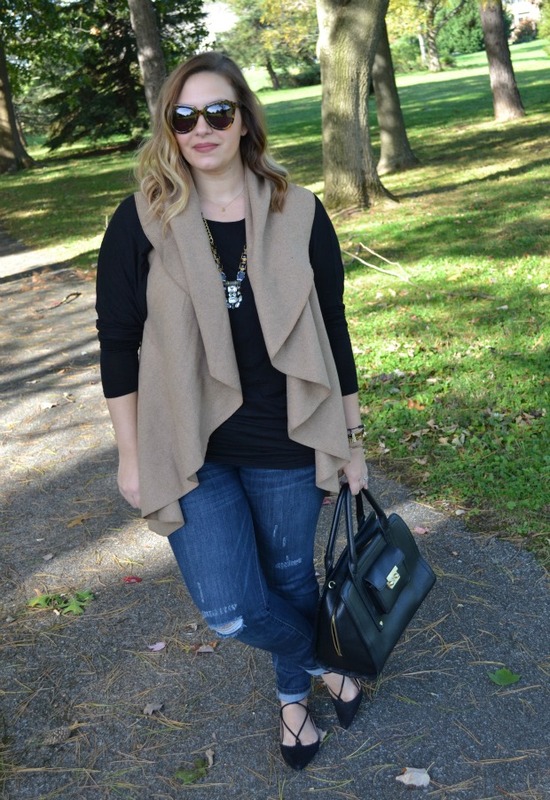 I obviously kept it a little more casual with distressed denim and flats, but this can easily be tossed on over a pair of leather leggings, a black tunic and heels! I love seeing this vest on you – Kendi wore one very similar, but I wasn't sure how it would translate up since I'm bigger than you, I think and most definitely a lot bigger than her. You look great in it and I'm seriously considering adding it to my closet!